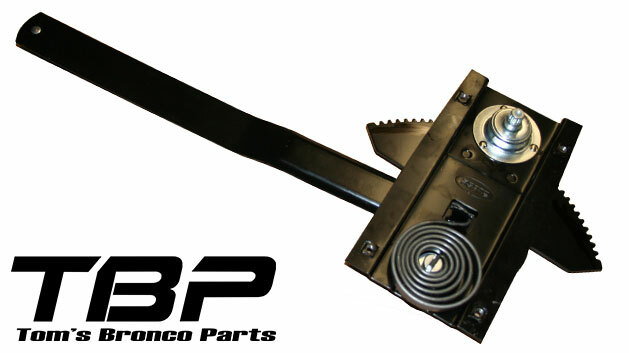 New Driver Side Window Regulator for 67-77 Ford Broncos. It is powder-coated and includes the roller bushing. NOTE: This window regulator can also be used for 1966 Ford Broncos, but will require the use of either 1967 or 68-77 Bronco window handles.